When I arrived on campus in August 2001, the first thing the administration told me was that I wasn’t supposed to be there. “O! You weren’t supposed to arrive until next week!” the woman under the welcome tent told me. “We put the wrong date on your letter.” But of course, they’d never corrected it, so there I was, along with a dozen other transfer students, who were not supposed to be there. There were no Transfer Welcome Activities. Only Freshwoman Welcome Activities. So, we figured out a few of our own, the bunch of us who would be living somewhat together in Main Building. We named ourselves The Main Transfers From the Future ™. We joked about getting t-shirts, which we never did, regrettably. 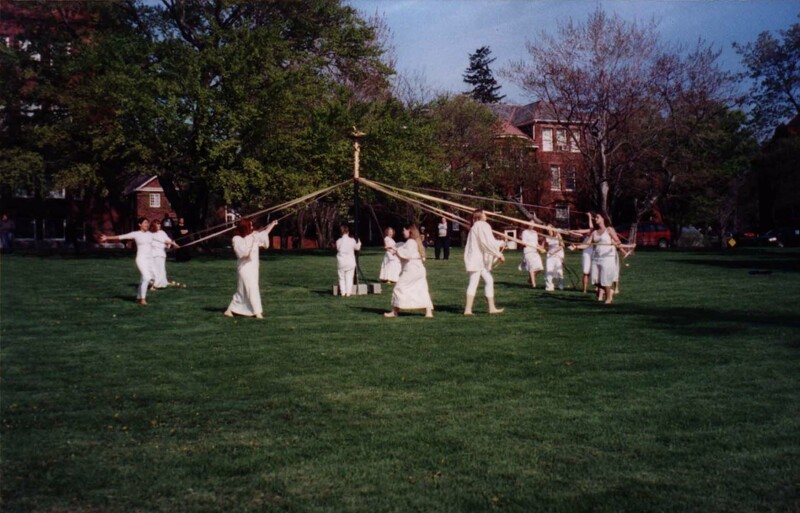 Wells College is almost famous for its traditions. It’s known for them. And most of these traditions start your very first day on campus. Provided it is your first day of college Ever. Fail. I can’t even do Sophomore Year right. I didn’t get a Freshman Sign. I wasn’t a Christmas Elf. And I didn’t get to dance around the May Pole or be named the Queen of the May. 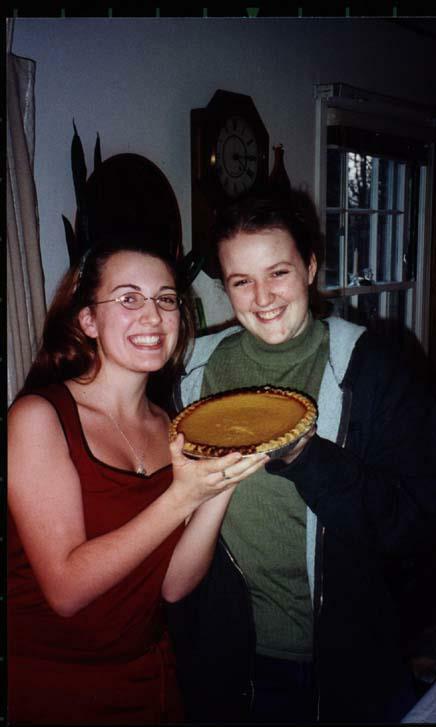 As a transfer student at the four year liberal arts college, there were, in fact, very few traditions that I was able to participate in at all. Primarily only those that made the school what it then was: A shining haven for extraordinary women. 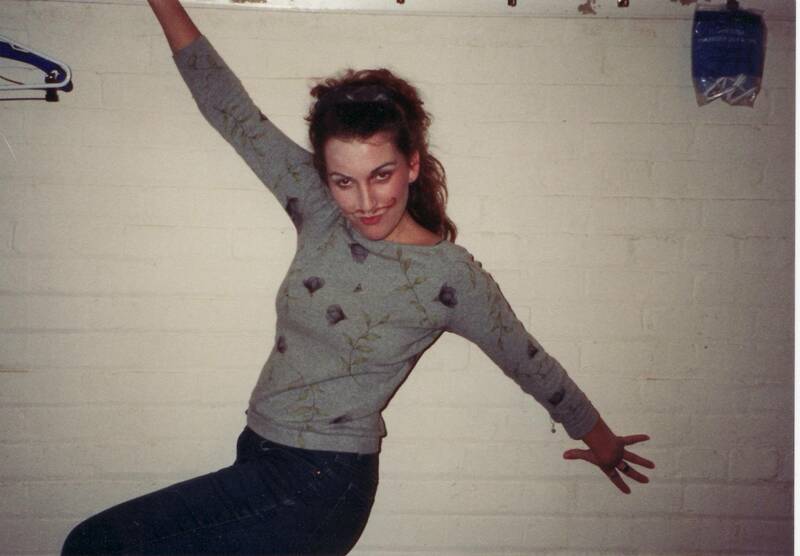 I was a PART (Performing Arts) major, concentrating my energies between the theatre and the dance studio. 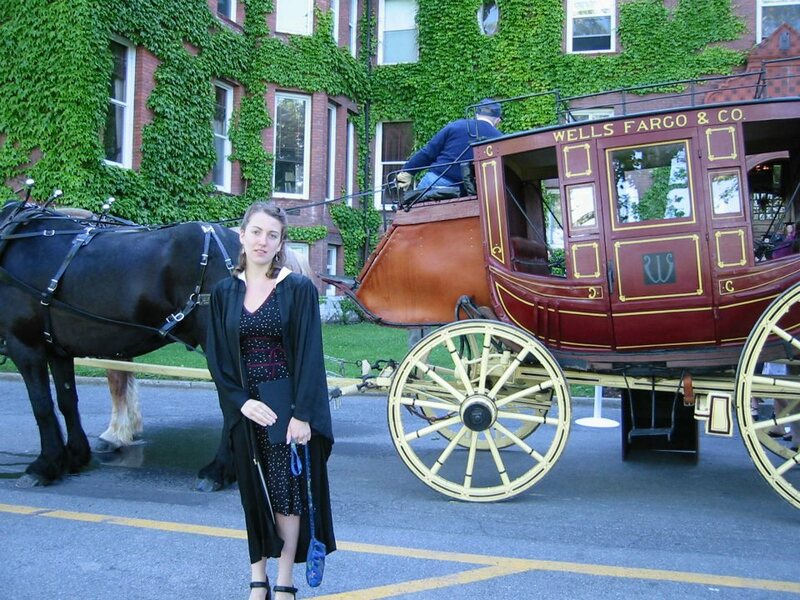 The traditions that my years at Wells encompassed were mostly department traditions, not school traditions. As a transfer, there were a lot of things that I wasn’t allowed to do. But as a theatre major, the clouds weren’t even the limit. Building the Raked Stage for our production of Moliere’s The Schemings of Scapin, directed by Susan Forbes. 2001-2002 Production. 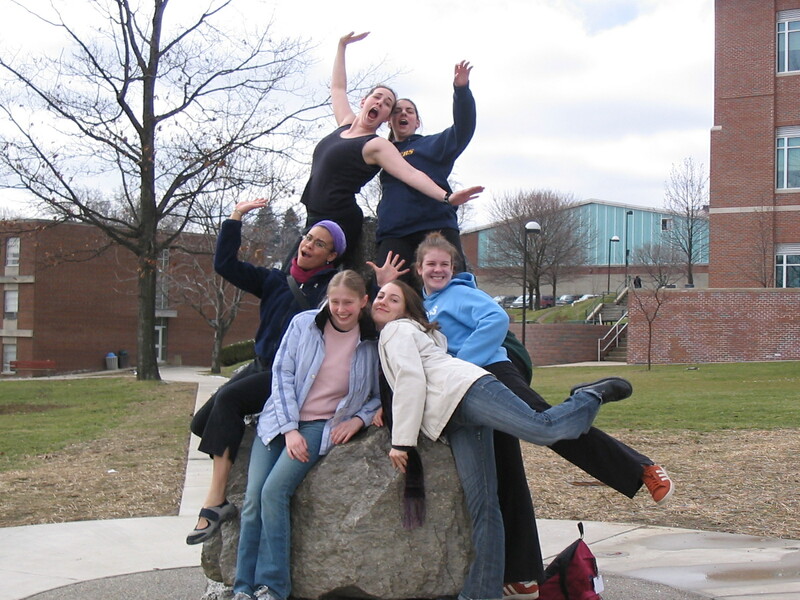 Goofing off at the American College Dance Festival in Slippery Rock, Pennsylvania, with members of the Wells College Dance Collective. Spring 2004. As a PART major my traditions were more appropriately focused. And perhaps almost entirely self-made. I might as well have lived in the theatre for all the time I spent there in rehearsal, doing my work study, and taking classes. 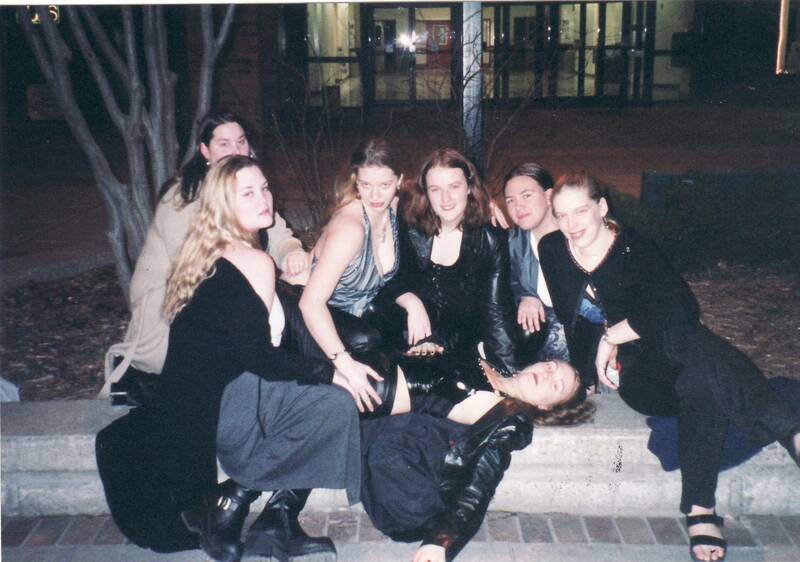 I think Theatre was my Wells tradition. And I believe my fellow students and even my professors from various departments might tell you that I tended to have a flair for the dramatic. Senior year, at the awards ceremony, I stood and walked across the stage to accept the dance performance award wearing a pair of white sparkly fairy’s wings. At opening convocation, senior year, when we were supposed to wear hats, for whatever traditional reason, I wore a large piece of red lace fabric as a veil. 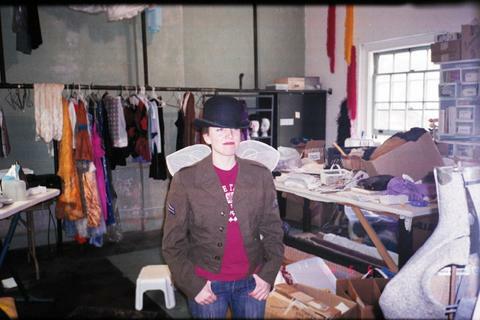 I usually made my way down to these sorts of events from the stage-house, wearing whatever I had recently discovered in a box, or under the cutting table in the Costume Shop. One afternoon while organizing the CS, I moved a box from the top shelf, only to lift it away from the shelf trailing a wild spray of bright glitter from an upturned open jar inside the box. 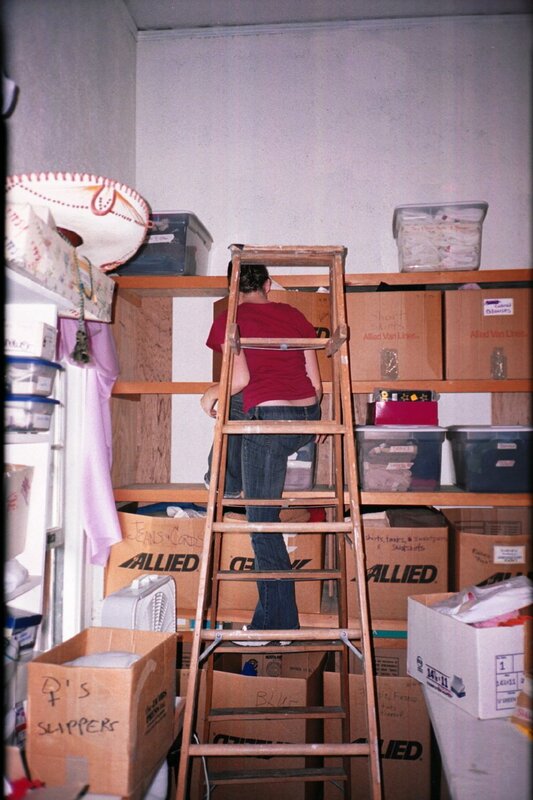 I carefully climbed down the ladder, grabbed fistfuls of the stuff from where it had landed on the floor, ran down the three flights of stairs, shouting, THINK HAPPY THOUGHTS!!! and throwing handfuls of the stuff at anyone I met. I’m pretty sure our tech director, Joe, still curses me over the pool of fairy dust I left near the apron just outside the stage-to-house door where I met Miles-Steiner as she started in horror at my jubilant pronouncement, getting a faceful of glitter. If you have ever heard whispers of the CS Faerie . . . that was me. Perhaps cursing the CS Faerie became a Wells tech tradition. Our PART professors’ encouragement to birth guerrilla theatre found us infiltrating the dining hall at lunch time, standing on tables reading monologues, and fencing in front of the fireplace. One rainy night found a few of us running about campus having an impromptu costumed photo shoot and another occurred in the middle of a brightly lit day two years later (which later turned into the greatest prank in the history of my entire life but that story must be told separately as it deserves a lot more than a paragraph). Our experience wasn’t necessarily the experience of the rest of the college. I’m sure other majors could say the same about their experiences. But as a transfer, I think this is especially true. Where there wasn’t a tradition to fit our circumstances, we built our own. I guess that’s an important life lesson, and I think that’s what college is really supposed to be about. I don’t use my Bachelor’s Degree professionally. I only use the experiences I had in getting it. And I think, maybe, that’s the way life is supposed to work. It’s all built on experiences. 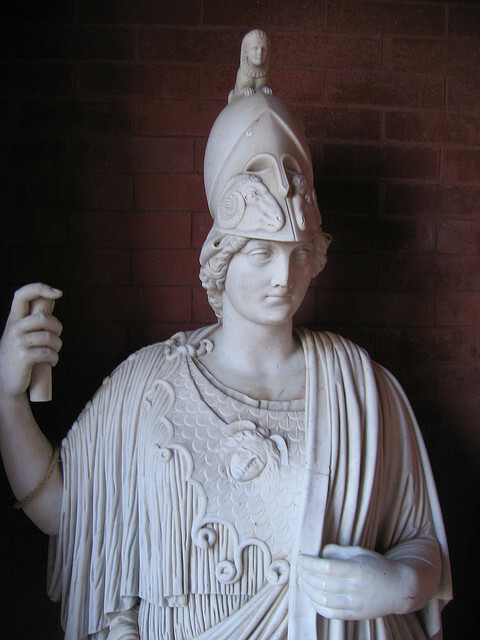 Minerva. A Wells tradition we can all agree on.